This guy is my idol, my hero, my role model. ahah I’m over-exaggerating but nonetheless, Goro made me want to stop living a boring life. Not caring about other’s opinions or how I didn’t have much knowledge of the sport, I want to be like Goro and give my all into something that I love. So the reason I played tennis and not softball or baseball is because of Prince of Tennis. 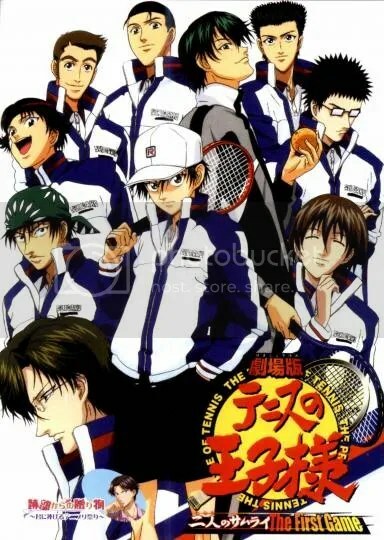 :3 I watched it in seventh grade and the series made tennis seem so cool. ahah. So ever since then, I wanted to try playing tennis. So, three years later, while watching Major, it gave me that little extra push that I needed to break out of my shell/comfort zone and do something different.. So a fictitious character inspired me and had me setting out with the goal of finding and continue practicing an interest that I’ll come to love. What about you? Has another character have an impact on you like Goro had on me? 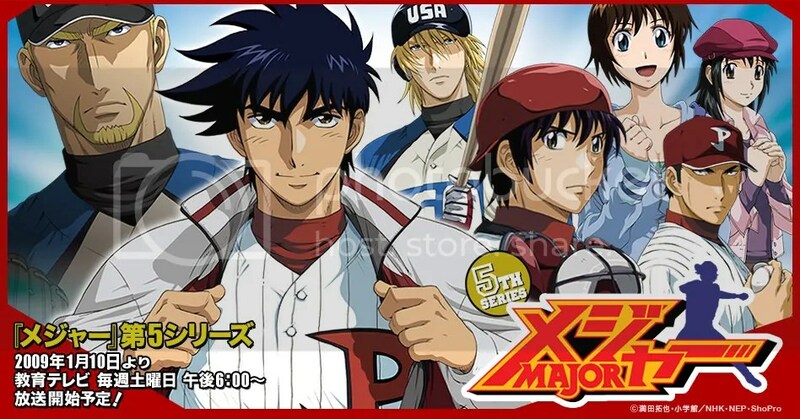 Anyways, Major is a good anime. :3 you should try watching it and see what you think of it. Personally, I don’t really like the first few seasons because it was about Goro as a little kid. One thing I think is cool about this series is that each season is a chapter of his life. Like, season 1 is about him as a little kid, season 2 is about him in elementary, I think and it goes all the way to season 6 of where he’s a pro. Season 6 of him going pro is what I’m really enjoying. 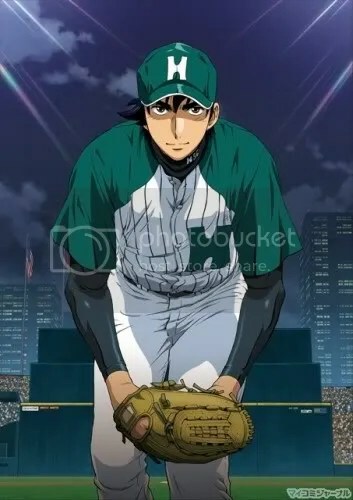 This entry was posted in Random and tagged baseball, major, prince of tennis, sports. Bookmark the permalink. I’ll need to check out Major at some point, then! I’ve had it on my list for a while, but never quite had that urge to watch it. ahh, do it. go, go. watch it. ahah. i love tennis. ahah, only when i hit good balls. >_> when i miss.. it’s not so fun. have you played tennis before? Ok, im really sorry if this comment doesn’t belong here but I don’t know were else I could ask this. So, Im in big need for new manga, im getting tired of just looking for the new releases of my fav manga. Sorry again if this is in the wrong spot! thanks! Have you tried Historys Strongest Disciple Kenichi? It’s similar to Veritas or so I’ve heard. So you might like this one. There's also Katekyo Hitman Reborn. The characters are so cool. :3 There's an anime for this one but the manga is way better since the show was sort of directed at kids so they took out a lot of the cool parts. The ones I was going to read but haven't yet so I dont know if they're good or not. -Gamaran <– This one seems pretty cool.